You’re ready to take the plunge and buy a pair of binoculars and you might think to yourself, “How complicated can it be?” That is, until you start to notice the dizzying array of available brands, features, and prices. Before you get overwhelmed, check out this basic primer on what you need to know before buy (and learn how to save 15 percent!). Binoculars are marked with a set of two numbers that indicate their power of magnification and the diameter of their objective lenses (we’ll get to this in a minute). If a pair of binoculars is marked “8×42,” the first number indicates that they will magnify the object you’re looking at eight times larger than its actual size. A common mistake made by first-time buyers is thinking that bigger is better. While it’s true that greater magnification provides a larger image, it can also make it difficult to maintain a steady view of what you’re looking at. The average birder uses a magnification power of 8 to 10, which affords a good amount of detail without the shakiness experienced at higher magnification levels. If magnification determines how much detail you see, the diameter of the objective (aka front) lenses determines how well you see it. Think of it like this: the wider the objective lenses, the greater the light-gathering ability, which ultimately translates to greater detail and clarity. You can identify the size of the objective lenses on a pair of binoculars by looking at the second number in our 8×42 example, which refers to the diameter of each objective lens in millimeters. This measurement tells you how wide the area is that you can see through your binoculars. Of course, the more you can see, the easier it is to follow a fast flying bird, or catch movement off to the side. Field of view is measured either in degrees or in feet per thousand yards and, like magnification and brightness, is usually marked right on the binoculars. For those who wear eyeglasses, this may be one of the most important features to consider when selecting binoculars. Eye relief refers to the distance (in millimeters) between your eyes and the part of the binoculars you look through at which you can still maintain a full field of view. Since eyeglasses necessitate a space between the eyes of the user and the binoculars, those with glasses will want to look binoculars with at least 15mm of eye relief. If it’s not on the box, ask the salesperson. Not all lenses are equal. High-quality lenses are made from superior glass and prisms and have better optical coatings that maximize the amount light directed to your eyes, making images appear brighter and clearer. The quality of the coating on binocular lenses is actually one of the things that distinguish top-of-the line optics brands from others. Above all, your binoculars should “feel right” to you. Take a minute to focus on objects near and far. How easily are you able to make adjustments? Can you hold them up to your eyes for a minute or two without feeling overly fatigued? Can you carry them with ease? Binoculars are an investment that can be enjoyed for a lifetime, so take the time to choose what’s right for you! Still have questions? Contact us at the Audubon Shop. Ready to start shopping? Be sure to swing by The Audubon Shop’s Optics Fair at Drumlin Farm in Lincoln this Saturday, September 15, where representatives from the top optics companies will be on hand. Plus, Mass Audubon members will receive 15 percent off all binoculars and scopes! 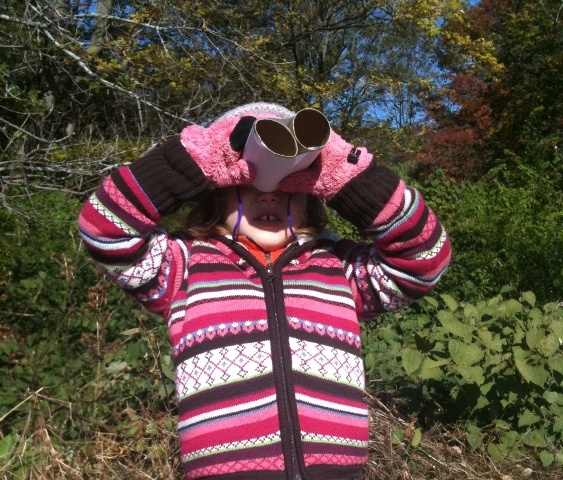 This entry was posted in Stuff We Love and tagged binoculars, optics, shop on September 11, 2012 by Heather.